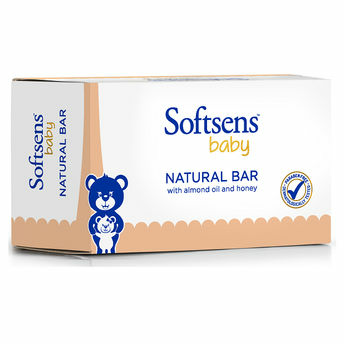 Softsens Baby Natural Bar is a deeply nourishing baby soap for visibly healthier and supple skin. 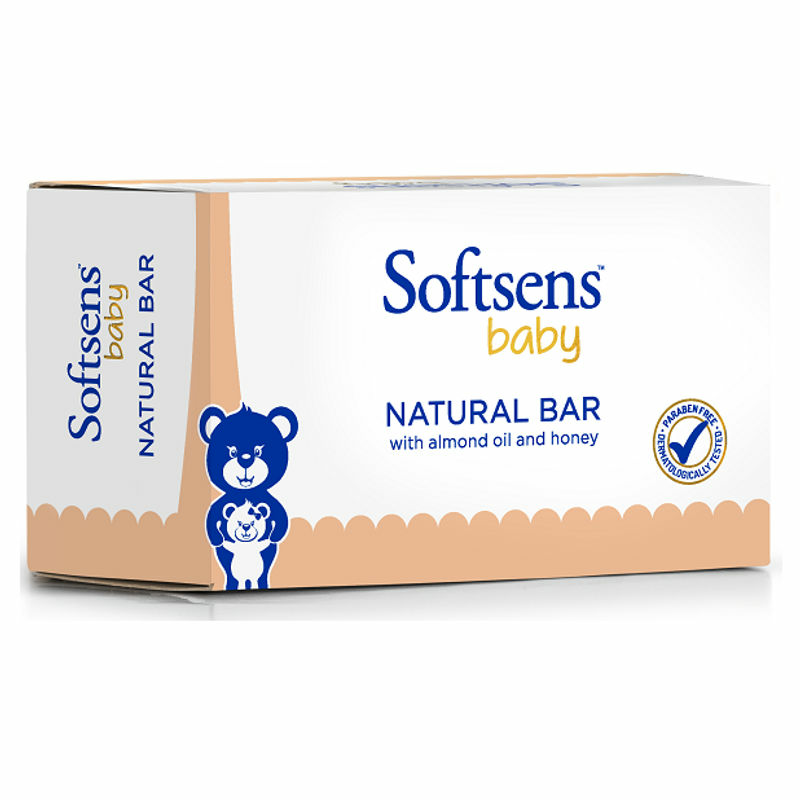 Formulated with the goodness of rich emollients like natural almond oil and pure honey, it gently cleanses and nourishes your baby's delicate skin and locks in moisture, leaving behind soft, smooth, hydrated skin and a happy, delighted baby! Enriched with Natural Almond Oil and Pure Honey that help cleanse and moisturize delicate skin leaving it soft, smooth and nourished. Ideal for all skin types - normal, dry or sensitive skin.